With the slightest little effort he can make grown men let out a scream – he’s Jack the Pumpkin King. 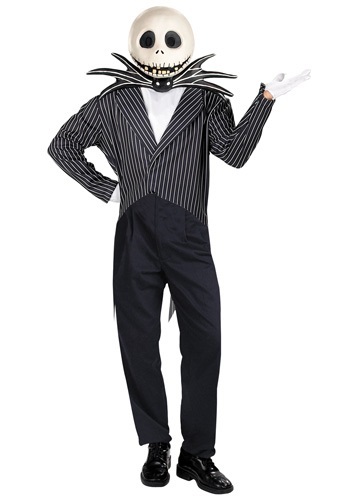 From the eccentrically creative mind of Tim Burton is Jack Skellington, the vivacious and charismatic undead skeleton, from the animated musical “The Nightmare before Christmas”. Dress up in a Jack Skellington costume and fulfill your holiday destiny in Halloween Town– but watch out for Oogie-Boogie! 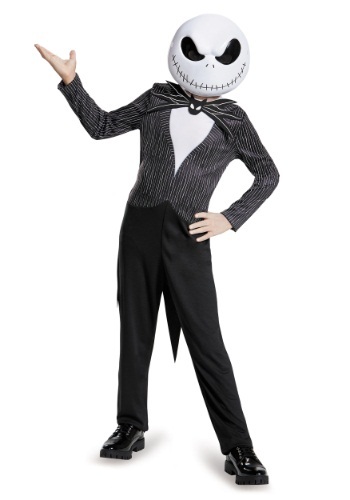 A Jack Skellington costume is a spooky yet fun choice for you next Halloween celebration, Disney-themed party or for just hanging out in any magical world. 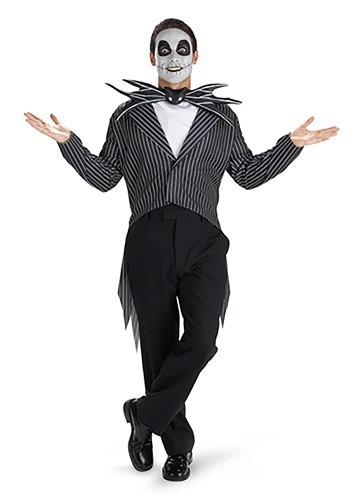 Available in sizes to fit most, a Jack Skellington costume features his signature black pin-striped jacket with tattered and torn tails in the back. A white ascot and distinctive bow tie resembling a spider are provided to replicate his wild and dramatic style. 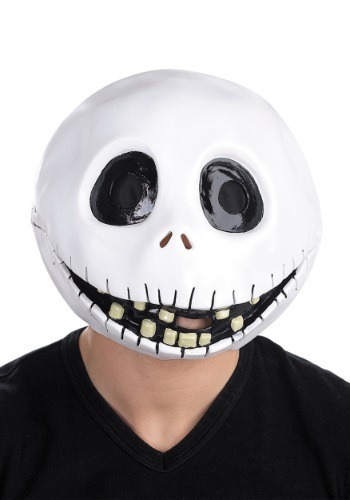 Add face paint or a Jack Skellington costume mask with exaggerated black Jack ‘O Lantern features for the total “The Nightmare Before Christmas” look. For a couple’s costume, have your date dress up as Sally, the pieced together rag doll or Zero the ghostly pet from the movie.